BATS Theatre is one of the busiest theatres in the country. More than a venue for hire, more than a traditional theatre company producing its own work, BATS is also New Zealand’s strongest developmental theatre - an open home for artists, and a training ground for New Zealand’s future actors, writers, directors, designers, technicians and – probably - reviewers. 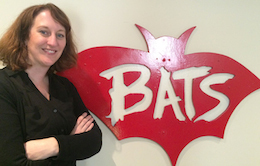 BATS has had a profound impact on Wellington’s vibrant arts scene, partnering with creative people to make bold ideas happen in front of enthusiastic and loyal audiences. Original generation time 3.9870 seconds. Cache Loaded in: 0.0296 seconds.